The perfect combination of mobility, precision and mechanical finesse. Made in Germany! High-Inertia Stabilisation System. The integrated stainless steel flywheel is accelerated by a finely tuned gear. The high rotational velocity of the flywheel increases inertia and motion stability and has a low weight. See video! 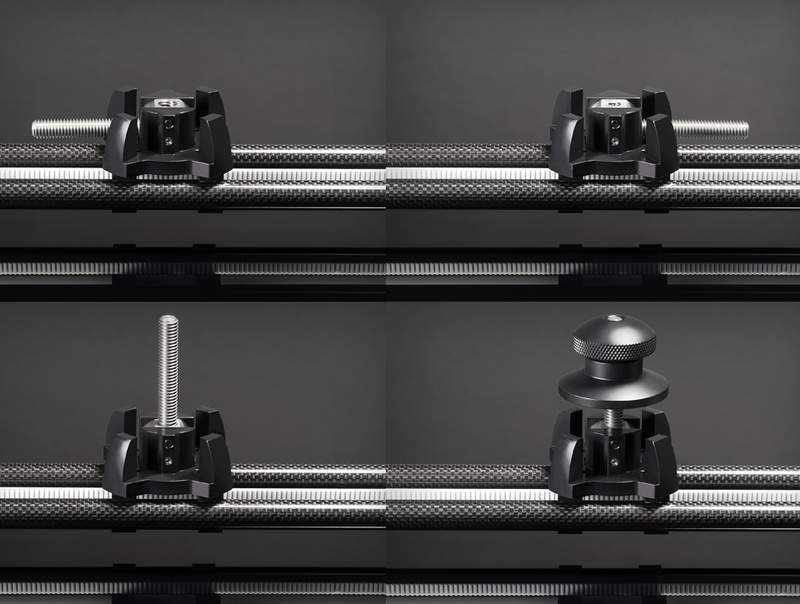 The material selection geared towards mobility, such as aluminum and carbon, makes the slider particularly robust, yet it still one of the lightest (1.5 kg) of its class. The POLLY SLIDER already features our new POLLY CONNECTOR (New!) 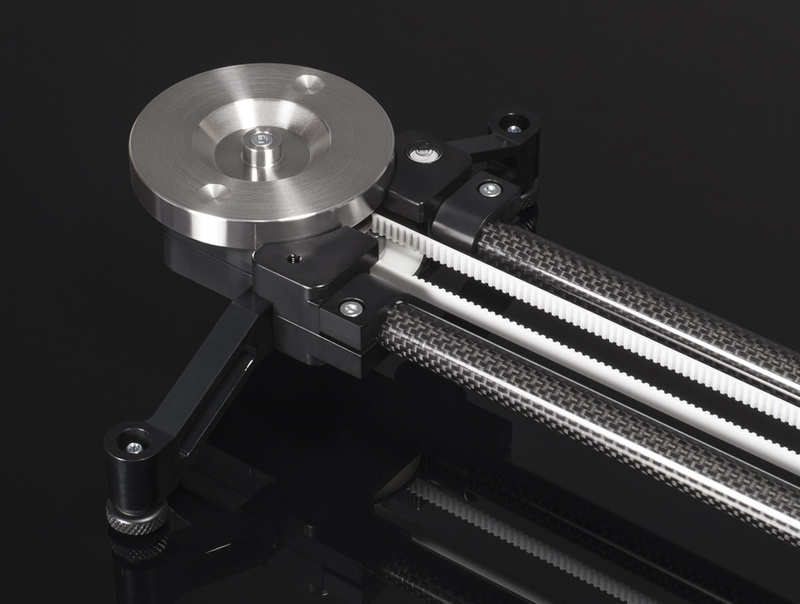 – which offers 3 standardized formats in one system: 1/4″, 3/8″ and 75 mm half-ball. At the same time, the third single foot on the narrow side serves as a mounting screw for mounting on a half-ball cup. The camera plate also features three captive attachment options. The height-adjustable fold-down feet with integrated anti-slip elements function like jack knives and can be folded in and out with one easy movement. A level aids in aligning the slider. We placed a focus on integrating as many attachment options as possible on the camera and tripod side. 940,00 € (excl. VAT) Buy now! 1072.00 $ (excl. VAT) Buy now!